The design is deeply carved into the granite using two different sandblasting processes. This creates a sculptured look with outstanding contrast that works well with all granite colors. This method is most effective with cultivated roses and is not available for wheat or scenes. In this method, the design has a single line engraved around each petal and leaf, then the centre of the design is fl ashed. 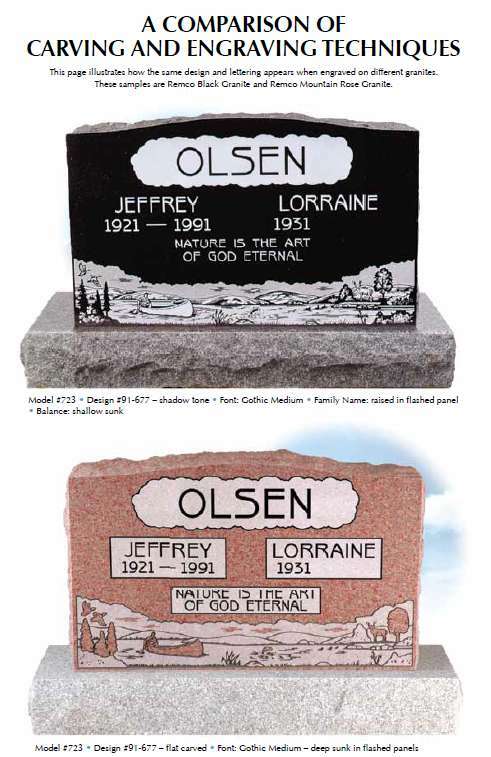 This design carving method produces outstanding contrast, so it is suitable on all granite colours. A deep line is engraved around the design,then the centre of the design is flashed to create high contrast. This design carving method produces outstanding contrast so it is suitable on all granite colours. The design is delicately carved using natural polish, flashing and half-tone sandblasting to create a 3D effect. This design carving method is only available on Remco Black and Remco Blue granites. The computer driven laser etching machine produces a powerful light beam which strips the polish off the surface creating unparalleled detail. 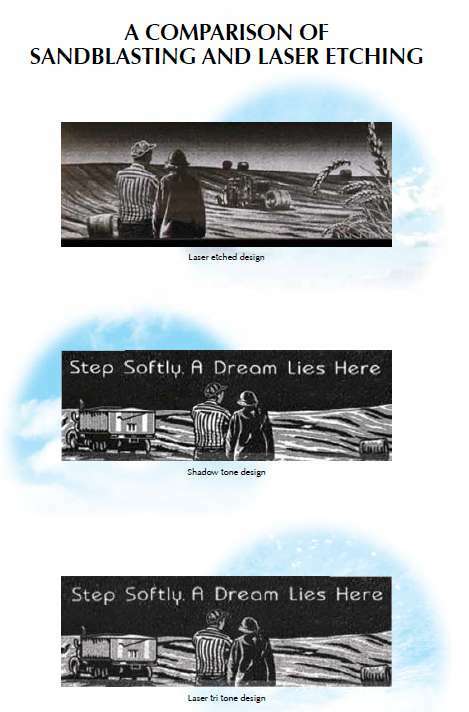 This design carving method is only available on Remco Black Granite. The laser etching machine strips away the polish, in varying degrees, to create designs that are very similar in appearance to shadow toned designs. This method is only available on Remco Black Granite.